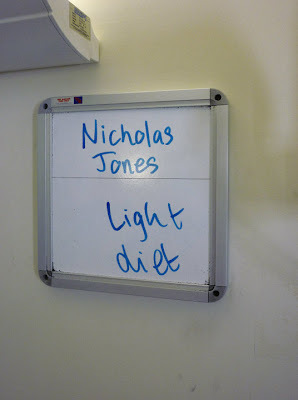 So, as anyone who's read the previous post will know, it hasn't exactly been a joyous week or so chez Jones/Louis. I spent all of the Bank Holiday weekend in the hospital, with the rest of the week taken up variously by trips to the doctor's, trips back to the hospital, and a certain amount of rest and recuperation in-between. There'll probably be further follow-up hospital visits down the line, but for now, so long as I'm sensible (no booze, no spicy food, no ibuprofen or aspirin, cut down on coffee, etc. ), I should be okay. Necessarily – and hopefully understandably – blogging has taken a back seat while all this has been going on, so I've got quite the little backlog to get through, including reviews of Richard Stark's Deadly Edge and The Damsel, lots of new Westlake Scores, and plenty of other New Arrivals to boot. However, I doubt I'll be blogging at the same pace (or doing anything else at the same pace, frankly) I was before being struck down with the bleedin' (literally) ulcer, so it's going to take a while to catch up with myself. Still, no rush, eh? No, really: no rush, please. But before we get to all that, in amongst all the gloomy unwellness of the past week I did receive one piece of rather good news: a book I edited won an award! 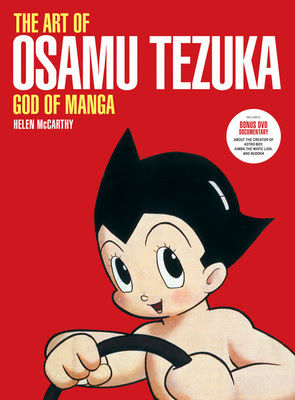 Yup, The Art of Osamu Tezuka: God of Manga bagged the Best American Edition of Foreign Material at the Harvey Awards ceremony at the Baltimore Comic-Con, beating out a list including well-regarded manga titles Pluto and 20th Century Boys and the acclaimed graphic novel The Photographer. In fact it's the first time this particular award has been won by a book about comics, rather than a book comprising comics, so it's all the more notable. I mentioned back in April that we'd been nominated for an Eisner Award, which we ultimately didn't win, so it's nice to walk off with a prize from the other big American comics awards. So congratulations to the book's author and guiding light, the effervescent Helen McCarthy, and also to all my friends and colleagues at Ilex Press, who put the book together. And hell: congratulations to me too. I worked bloody hard on that book, and with everything that's happened recently, for once I think I can indulge in a little self-back-slapping. Congratulations! Very cool. And good luck on your recuperation. No worries if you slow down your pace. I'm not reading any of your Parker reviews for books after The Jugger (the last one I read), so I'll always have those to go back to later. Plus, you keep up a pretty torrid pace when you are in full health! Ha! Damn, what a missed opportunity!